Rick Springfield’s resume as a successful musician and actor need not be repeated here as it has been well documented many times over the years. 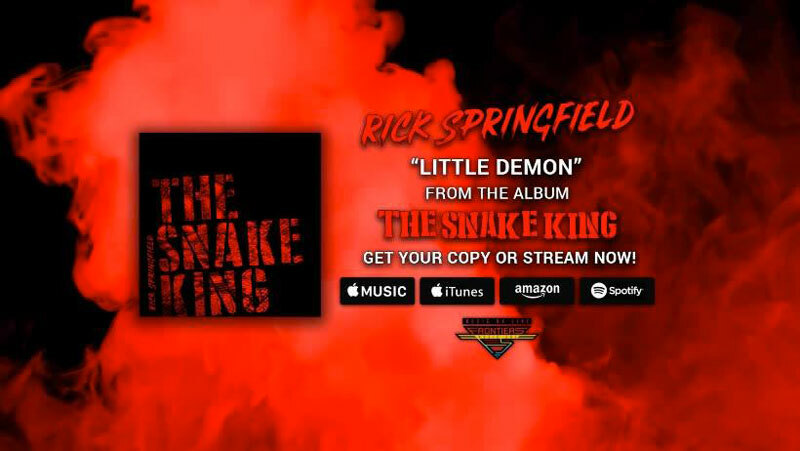 What needs to be discussed here is that The Snake King will NOT be the Rick Springfield album you or anyone else was expecting. Rick, not for the first time in his career, has thrown a curveball that surprises and absolutely delights at the same time. The Snake King finds Rick travelling down a dusty dirt road to explore the blues side of his rock ‘n roll. All you have to do is check out two of the first couple cuts on the album, “In The Land Of The Blind” and “Little Demon” to get an understanding of the blues laden journey Rick had decided to allow us to join him on. And of the many delights on this album, Rick’s grossly underrated guitar playing really shines here, perhaps moreso than on any album in his storied catalog. As for the lyrics? Not what you’d expect either, but we’ll leave it up to the listener to decide what’s being relayed there.